Four Seasons has a busy year ahead with an impressive portfolio of new hotels, resorts and residences scheduled to open, including the group's first standalone residences in London, and a very special property in Bangkok that will mark the eagerly anticipated return to the Thai capital for the luxury hotel group. Four Seasons Astir Palace Hotel Athens – With the transformation of the famed Astir Palace on the Athenian Riviera, the hotel will offer 303 rooms and bungalows along three private beaches with three pools, a spa and seven restaurants and lounges. Four Seasons Hotel and Private Residences Bangkok at Chao Phraya River –The return of Four Seasons to Thailand’s capital is scheduled for this year. The property will be the fourth property in the company’s Four Seasons Thailand collection. The all-new complex spans 9 acres (3.6 hectares) and 656 feet (200 metres) of prime river frontage with open courtyards, water features and works of art. The property will feature 366 Private Residences and 299 rooms and suites, a variety of ballrooms and outdoor spaces, three restaurants and a Latin American inspired social club. 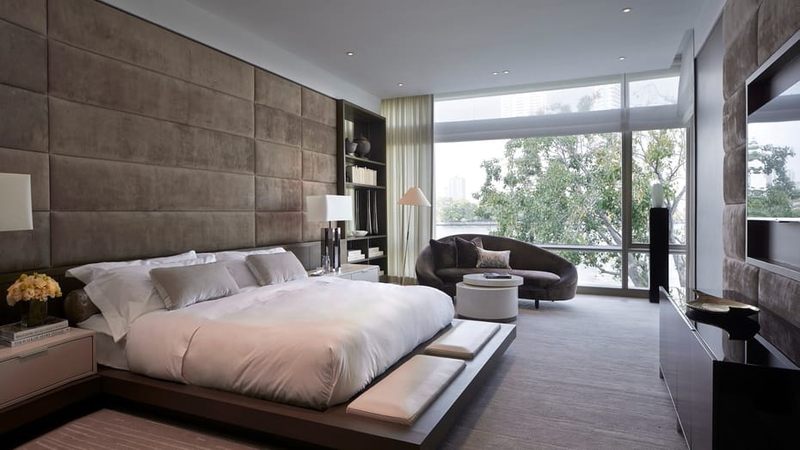 Four Seasons Hotel and Private Residences Bengaluru at Embassy ONE – Set in the heart of India’s technology hub as part of the prestigious new Embassy ONE development, the property will feature 230 rooms, 105 Private Residences and prime commercial retail space. Four Seasons Hotel Bengaluru joins its sister property in Mumbai as the second Four Seasons in India. Four Seasons Hotel and Private Residences Madrid – A restoration and conversion of several historic buildings in the heart of the city’s famed Canalejas district is entering its final stages, with the 200-room Four Seasons as the company’s first location in Spain. The property will also incorporate 22 beautifully appointed Private Residences. Additional future projects include hotels, resorts and residences in Dalian, China; Makkah, Saudi Arabia; Hanoi, Vietnam; and Caye Chapel, Belize. Just in time for winter 2019, Les Chalets du Mont d’Arbois, Megève, A Four Seasons Hotel will debut alongside its sister property, Four Seasons Hotel Megève, which opened in December 2017. Guests in Megève will be able to enjoy exceptional dining experiences, with two Michelin-starred outlets including Le 1920 at Four Seasons Hotel Megève, and Prima at Les Chalets du Mont d’Arbois, Megève, A Four Seasons Hotel, which received its first Michelin star earlier this year. For those looking to make their time with Four Seasons more permanent, the company will debut its first ever standalone residential project in London’s elegant Mayfair neighbourhood with Twenty Grosvenor Square, A Four Seasons Residence. Following a meticulous restoration, the project will open with 37 Private Residences as well as the very best onsite facilities and amenities, including a private wine cellar, a spa with an 82 foot (25 metre) swimming pool, a treatment suite with steam room and sauna, a state-of-the-art fitness centre, games room, a cinema, business suite, a garden room and private landscaped gardens. In the next five years, Four Seasons residential portfolio is expected to double, with more than 80% of all development projects including a residential component. The company’s global portfolio is on track to exceed 7,000 homes. See latest HD Video Interviews, Podcasts and other news regarding: Four Seasons.